It’s not surprising that (iiUniverse) the publisher of Ely’s new book has designated it Editor’s Choice. 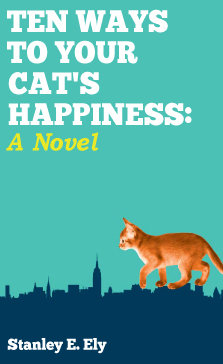 What starts as an innocuous tale of a writer finagling the publication of an animal care book, blossoms into a smart, lively, surprisingly complex narrative of contemporary New York City life. The book is full of colorful characters — animals and people — and is a delightful read. Ely’s fifth book is his best.